An increasingly popular way of adding functionality to a project is to give a program the ability to dynamically load plugins, or modules. By doing this your users can extend your project in new ways, which even you perhaps hadn't envisioned. Dynamic Loading, then, is the process of loading compiled objects into a running program and executing some or all of the code from the loaded objects in the same context as the main executable. This chapter begins with a discussion of the mechanics of dynamic modules and how they are used, and ends with example code for very simple module loading on GNU/Linux, along with the example code for a complementary dynamically loadable module. Once you have read this chapter and understand the principles of dynamic loading, the next chapter will explain how to use GNU Autotools to write portable dynamic module loading code and address some of the shortcomings of native dynamic loading APIs. This is pretty similar to how you might go about linking a shared library, except that the `baz.so' module will never be linked with a `-lbaz' option, so the `lib' prefix isn't necessary. In fact, it would probably be confusing if you used the prefix. Similarly, there is no constraint to use any particular filename suffix, but it is sensible to use the target's native shared library suffix (GNU/Linux uses `.so') to make it obvious that the compiled file is some sort of shared object, and not a normal executable. In order to access the functionality of dynamic modules, different architectures provide various APIs to bring the code from the module into the address space of the loading program, and to access the symbols exported by that module. 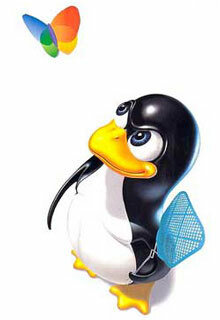 GNU/Linux uses the dynamic module API introduced by Sun's Solaris operating system, and widely adopted (and adapted!) by the majority of modern Unices (39). The interface consists of four functions. In practice, you really ought not to use these functions, since you would be locking your project into this single API, and the class of machines that supports it. This description is over-simplified to serve as a comparison with the fully portable libltdl API described in 18. Using GNU libltdl. The minutiae are not discussed, because therein lie the implementation peculiarities that spoil the portability of this API. As they stand, these descriptions give a good overview of how the functions work at a high level, and are broadly applicable to the various implementations in use. If you are curious, the details of your machines particular dynamic loading API will be available in its system manual pages. This function brings the code from a named module into the address space of the running program that calls it, and returns a handle which is used by the other API functions. If filename is not an absolute path, GNU/Linux will search for it in directories named in the `LD_LIBRARY_PATH' environment variable, and then in the standard library directories before giving up. Resolve undefined symbols when they are first used. If all symbols cannot be resolved when the module is loaded, dlopen will fail and return `NULL'. All of the global symbols in the loaded module will be available to resolve undefined symbols in subsequently loaded modules. Returns the address of the named symbol in the module which returned handle when it was dlopened. You must cast the returned address to a known type before using it. When you are finished with a particular module, it can be removed from memory using this function. If any of the other three API calls fails, this function returns a string which describes the last error that occured. In order to use these functions on GNU/Linux, you must #include <dlfcn.h> for the function prototypes, and link with `-ldl' to provide the API implementation. Other Unices use `-ldld' or provide the implementation of the API inside the standard C library. When you are writing a program that will load dynamic modules, a major stumbling block is writing the code to find the modules you wish to load. If you are worried about portability (which you must be, or you wouldn't be reading this book! ), you can't rely on the default search algorithm of the vendor dlopen function, since it varies from implementation to implementation. You can't even rely on the name of the module, since the module suffix will vary according to the conventions of the target host (though you could insist on a particular suffix for modules you are willing to load). Unfortunately, this means that you will need to implement your own searching algorithm and always use an absolute pathname when you call dlopen. A widely adopted mechanism is to look for each module in directories listed in an environment variable specific to your application, allowing your users to inform the application of the location of any modules they have written. If a suitable module is not yet found, the application would then default to looking in a list of standard locations -- say, in a subdirectory of the user's home directory, and finally a subdirectory of the application installation tree. For application `foo', you might use `/usr/lib/foo/module.so' -- that is, `$(pkglibdir)/module.so' if you are using Automake. If you try different module suffixes to the named module for every directory in the search path, which will avoid locking your code into a subset of machines that use the otherwise hardcoded module suffix. With this in place you could ask the module loader for module `foomodule', and if it was not found in the first search directory, the module loader could try `foomodule.so', `foomodule.sl' and `foomodule.dll' before moving on to the next directory. Something to be aware of, is that when your users write dynamic modules for your application, they are subject to the interface you design. It is very important to design a dynamic module interface that is clean and functional before other people start to write modules for your code. If you ever need to change the interface, your users will need to rewrite their modules. Of course you can carefully change the interface to retain backwards compatibility to save your users the trouble of rewriting their modules, but that is no substitute for designing a good interface from the outset. If you do get it wrong, and subsequently discover that the design you implemented is misconceived (this is the voice of experience speaking! ), you will be left with a difficult choice: try to tweak the broken API so that it does work while retaining backwards compatibility, and the maintenance and performace penalty that brings? Or start again with a fresh design born of the experience gained last time, and rewrite all of the modules you have so far? If there are other applications which have similar module requirements to you, it is worth writing a loader that uses the same interface and semantics. That way, you will (hopefully) be building from a known good API design, and you will have access to all the modules for that other application too, and vice versa. When the module is successfully loaded a function with the following prototype is called with the argument given on the command line. If this entry point is found and called, but returns `-1', an error message is displayed by the calling program. It will fail if the user's platform doesn't have the dlopen API. This also includes platforms which have no shared libraries. It relies on the implementation to provide a working self-opening mechanism. `dlopen (NULL, RTLD_NOW)' is very often unimplemented, or buggy, and without that, it is impossible to access the symbols of the main program through the `dlsym' mechanism. It is quite difficult to figure out at compile time whether the target host needs `libdl.so' to be linked. If you have a GNU/Linux system, you should experiment with the simple examples from this chapter to get a feel for the relationship between a dynamic module loader and its modules -- tweak the interface a little; try writing another simple module. If you have a machine with a different dynamic loading API, try porting these examples to that machine to get a feel for the kinds of problems you would encounter if you wanted a module system that would work with both APIs. The next chapter will do just that, and develop these examples into a fully portable module loading system with the aid of GNU Autotools. In 20.1 A Module Loading Subsystem, I will add a more realistic mdoule loader into the Sic project last discussed in 12. A Large GNU Autotools Project.